These days, people want energy-efficient homes that look great. To answer the call of passionate environmentalists, developer are rising to the occasion and designing home features that minimize waste, save energy and reuse reclaimed materials. The results are gorgeous, green homes that help move the sustainable living trend forward. Solar panels are a great way to save energy, but not everyone loves the optics. A series of solar panels on the roof may save you money on your utilities, but it can detract from the natural shape of your home. As an alternative, innovative in-roof solar panels are installed level with the roof line. This is accomplished by designing a deeper roof so the solar panels are flush with your shingles or other roof material. Of course, this requires some forethought, but it’s not impossible to retrofit your existing home to take advantage of the clever development. Deconstruction involves the “un-building” of a house. Specifically, when buyers or developers tear down a structure before building a new one, they attempt to reuse, salvage or donate as many materials as possible. Otherwise, all this material ends up in a landfill. Reclaimed brick brings a rustic character to a new home. It also adds a historic appeal and interest to an interior or exterior space. Wood siding and beams reduce further deforestation and often give you beautiful hardwoods and rugged lumber that has stood the test of time. Reclaimed flooring often nets you thicker wood slabs that you can refinish for a powerful visual effect. Bamboo is the ultimate sustainable building material. This fast-growing wood results in light-colored, unique wood floors. Although its’s softer than traditional hardwoods, it’s a great wood substitute that can regenerate in three years with minimal pesticides or fertilizers. In the past 20 years ago, windows have gotten larger – and more energy-efficient than ever. High-performance glazing and innovative frames hold in heat in winter and cool air in summer. Steel windows now open up and require fewer mullions to support larger glass panes, which reduces construction materials and air leakage. This means that green-minded homeowners can enjoy floor-to-ceiling views of the ocean or mountains without paying a huge utility bill or expending vast amounts of energy. 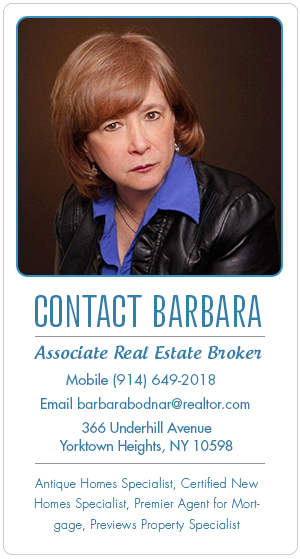 Be sure to let your trusted real estate agent know if green living is on your priority list for your future property. One thing to think about when purchasing a home or parcel of land is to have an updated land survey conducted. While property deeds generally include detailed information, many are outdated for a variety of reasons that include nature, weather conditions, and adjustments in floodplain maps among others. Even when the information about the property is spot-on at the closing, human perception of where your property begins and ends can lead to some unenviable outcomes. Given that buying real estate ranks among the largest personal investments for most people, these are three things you may want consider about land surveys. The old Robert Frost poem “Mending Wall” ponders the reasons that people erect property line fences and why they fix them each spring. The reason is a simple one, setting boundaries avoids unnecessary disagreements and allows people to get along. Land disputes can turn otherwise friendly neighbors into hostile abutters because there is a pervasive sense that someone is stealing from you. Good fences are the product of clearly identified boundary markers and professional surveyors are the people who measure and certify them. If you plan on buying or recently purchased a parcel of land, updating the land survey may be in you and your neighbor’s best interest. Many states continue to allow the practice of adverse possession. In some places, it’s known as “squatters rights.” If someone who does not rightfully own a piece of land can maintain or utilize it for a period of time, they may be able to put in a claim. Although many people consider this an outdated and unfair practice, it remains too common in rural and suburban areas. 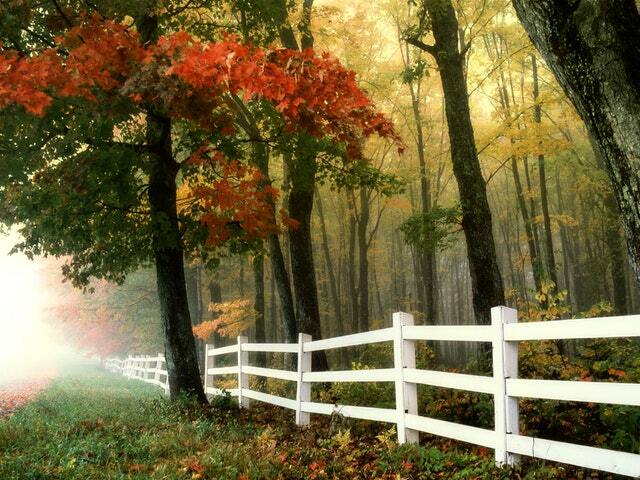 Misplaced fences are often the basis of such claims. When abutters work your land or use it to access their own, that can be the basis of a claim to get a permanent easement or take it from you. But that designation can be considerably more complex than just owning a home or residential property inside the flood zone. These updated maps do not necessarily consider the elevation of each and every property. In order to be properly listed, you may need to have an elevation certificate to petition FEMA and others that your property is not at risk. That means having a professional land survey conducted. There are numerous reasons why current land surveys can prove valuable to real estate buyers and sellers. Without one, you are operating without critical information about a significant investment. Your trusted real estate agent and home mortgage professionals can refer you to appraisers and land surveyors in your area. Be sure to rely on these valuable resources during your new home purchase. Last week’s economic news included readings on sales of previously owned homes and weekly readings on average mortgage rates and new jobless claims. 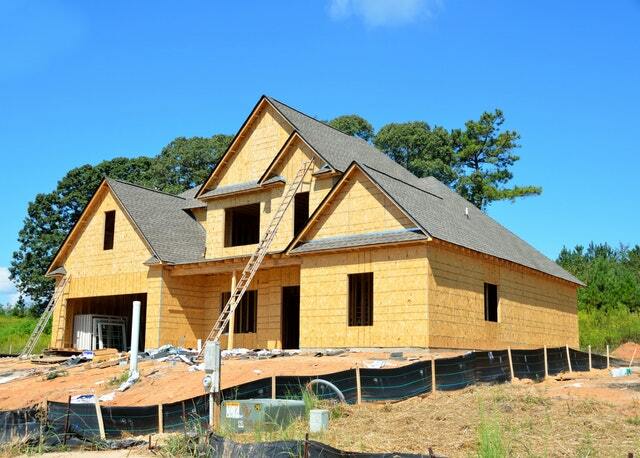 A scheduled report on sales of new homes was not available due to the government shutdown. 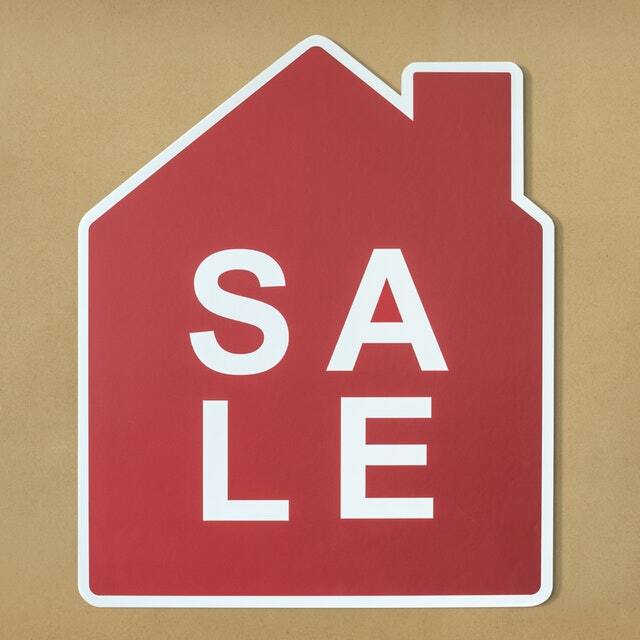 Sales of previously owned homes fell in December and failed to meet expectations. 4.99 million pre-owned homes were sold on a seasonally-adjusted annual basis; analysts predicted 5.10 million sales based on 5.33 million sales in November 2018. December’s reading showed the lowest number of sales since November of 2015. Sales of previously-owned homes fell 6.40 percent month-to-month and were 10.30 percent lower year-over-year. Inventories of previously-owned homes also slipped in December with a 3.70 months supply of homes as compared to 3.90 months supply of available homes in November. Real estate pros consider six months supply of homes for sale as an average inventor. Real estate pros said that lower buyer traffic in all regions of the U.S. could indicate less interest from buyers, but on a positive note, fewer buyers also remove the high rates of competition seen in the recent past. Lower mortgage rates are well-timed for the upcoming spring sales season. Real estate pros were hopeful that lower mortgage rates will hold and entice more buyers into the market. Freddie Mac reported no change in average interest rates for fixed rate mortgages. The average rate for 30-year fixed rate mortgages held at 4.45 percent; the average rate for a 15-year fixed rate mortgage was also unchanged at 3.88 percent. Rates for 5/1 adjustable rate mortgages averaged three basis points higher at 3.90 percent. Discount points averaged 0.40 percent for fixed rate mortgages and 0.30 percent for 5/1 adjustable rate mortgages. First-time jobless claims fell to 199,000 new claims filed. Analysts expected 218,000 new claims to be filed based on the prior week’s reading of 212,000 new claims filed. Last week’s reading represented the first time since 1969 that new jobless claims fell below 200,000, but analysts were wary of potential impact of the government shutdown on new jobless claims. The shutdown ended on Friday until February 15, but politicians seemed unenthusiastic about future shutdowns. 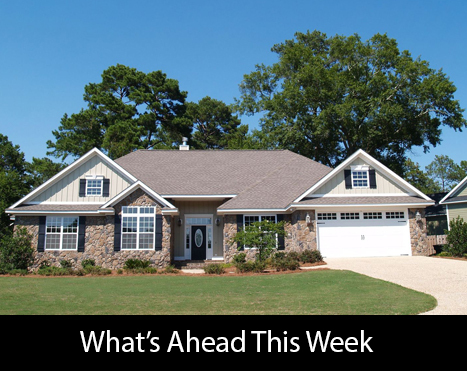 This week’s scheduled economic reports include Case-Shiller Home Price Indices and readings on pending home sales, construction spending and the post-meeting statement from the Federal Reserve’s Federal Open Market Committee. Labor sector readings on private and public employment and the national unemployment rate will also be released. Weekly readings on mortgage rates and new jobless claims will be released on schedule. Budget is an important consideration when buying or building your home. A buying price on an existing home reflects the value of the house.